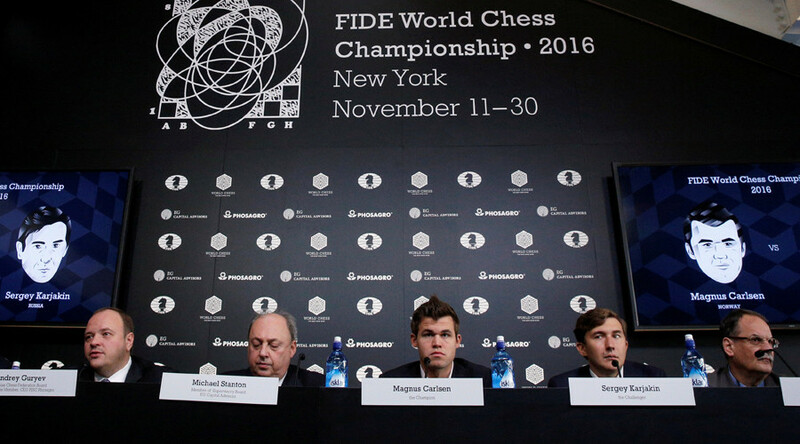 Russia's Sergey Karjakin faces reigning world chess champion Magnus Carlsen from Norway on Friday in a matchup which has brought back memories of one of the sport's famous Cold War duels. 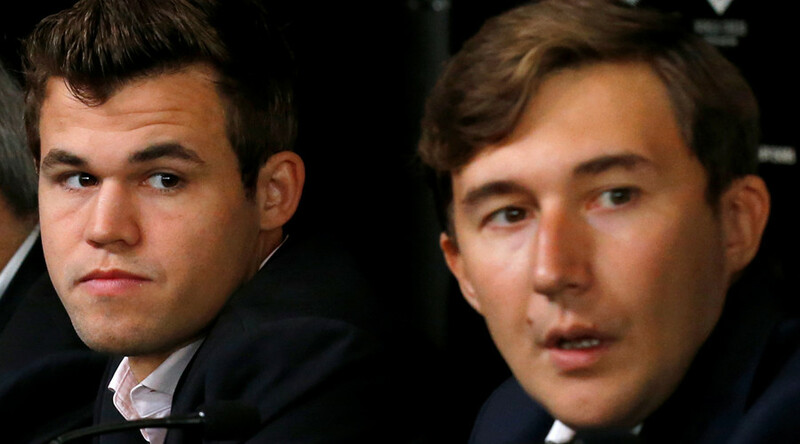 The duo are two of the sport's youngest-ever grandmasters – Karjakin achieving the title aged just 12 years and seven months, making him the youngest in history, while Carlsen is third on the list, becoming a grandmaster at 13. They will battle for the $660,000 prize and the right to be called World Chess Champion in New York; their combined age of just 51 will be the lowest ever in a match for the biggest title in chess. “In our sport there is the title that stands out – a world champion. 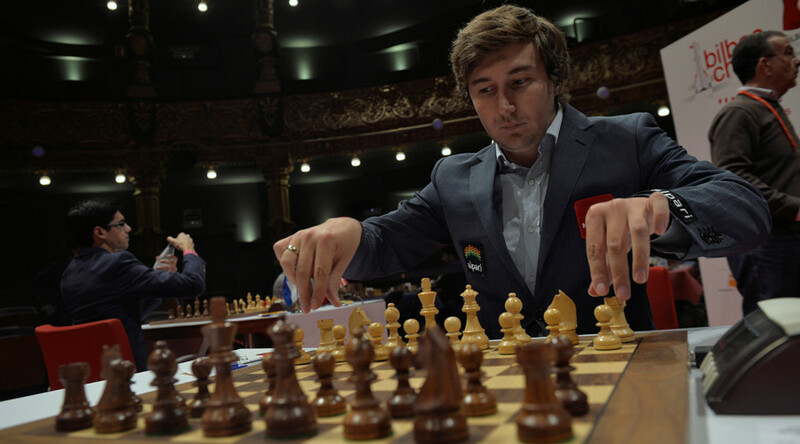 And I have to make just a final step,” said Karjakin, talking exclusively to RT. The 12-game series runs until November 30 and has drawn comparisons with the famous 1972 showdown between American Bobby Fischer and the Soviet Union's Boris Spassky in a meeting which reflected the Cold War between the two countries. "Back then it was the USSR versus the US, and now it's the European Union and the US and their sanctions against Russia," the Russian head of the World Chess Federation, Kirsan Ilyumzhinov, said in the run-up to the match. The Russian defeated third-ranked Fabiano Caruana of the United States at the Candidates' Tournament in Moscow to reach the world championship, but is a big underdog against current world number one Carlsen. Chess has recently seen a resurgence in popularity in Russia, leading to memories of the Soviet-era prime of the game. Chess still holds interest at government level, with President Vladimir Putin's spokesman, Dmitry Peskov, heading to New York to support Karjakin in his capacity as chairman of the Russian Chess Federation's supervisory board. “I realized it just now, the whole world will be watching me, all my friends will support me,” said Karjakin. Chess is also enjoying a boom in Norway, with Carlsen's ascendency to the top of the game sparking interest across the country. "Chess is associated with intelligence, or a narrower activity – thanks to Magnus Carlsen, it has gained a popular image as well," international chess master Atle Gronn told AFP. "He has a style that appeals very broadly, which also girls and women in the population find interesting." 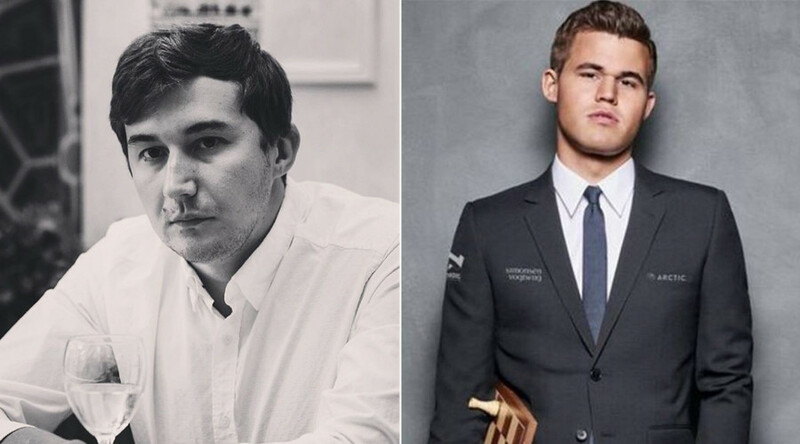 Carlsen's boyish good looks have led to him appealing to a much wider audience, although it's his skill on the board for which he is best known. He played in his first tournament in 1999 aged eight and just five years later defeated former world champion Anatoli Karpov and held legendary chess champion Garry Kasparov to a draw. Carlsen claimed the title in 2013 when he beat Indian rival Viswanathan Anand in a series that led to more internet searches in Norway about the game than for football. When he defended the title against Anand in a rematch the following year over half of Norway's 5 million population tuned in to watch on television, giving it higher ratings than cycling's Tour de France.